While blog surfing, I found this post on How to Make Jasmine and Dead Sea Salt Soap from Essentially Eclectic, and I was intrigued. I could make soap, without playing with lye? Count me in. 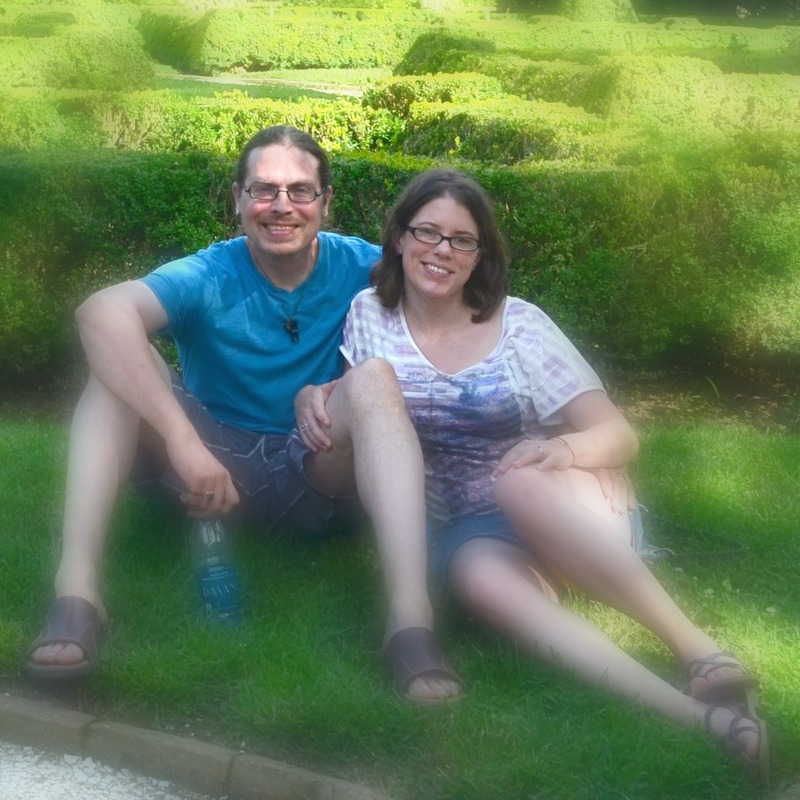 So, with very little knowledge, (actually, only this blog post of knowledge) we drove an hour away to Michael’s and picked up some supplies to try this new hobby. Well, since then, I have done my research and placed an order with a reputable soap supply company. The first, (far left) is made with a goat’s milk base, orange/mint fragrance, and a little bit of orange coloring with Dead Sea salt added. The next is a clear base, scented with a Tranquil blend, colored with purple, and black salt imbedded in the top. The third is a round soap make with goats milk. I added cocoa powder that had some crushed candy canes in it, and oatmeal. No scent or coloring. The next, (in the pineapple) is a clear base with lots of orange scent, orange coloring, and way too many coffee grounds. The swirled, (far right) is made with orange sent. The orange part is clear soap with orange coloring; the white part is goat’s milk with coffee grounds. I have plans to make several products for the Wolf Den. I want to play with bath fizzies, shaving soap (his/hers), soap, exfoliating soap, lip balm, and whatever else that strikes my fancy. I am also going to be making these for Christmas presents. I will make sure to report back with my findings. So do any of you soap???? Any tricks or recommendations? Anything you want to see me try? This post has been linked up here. Categories: Melt and Pour, Soap Making | Tags: goat’s milk soap, Melt and pour soap, oatmeal melt and pour, oatmeal soap, orange mint scented soap, orange scented soap, soap making | Permalink. I love old fashioned bar soap, but I’ve not been a fan of playing with lye and testing caustic formulations. 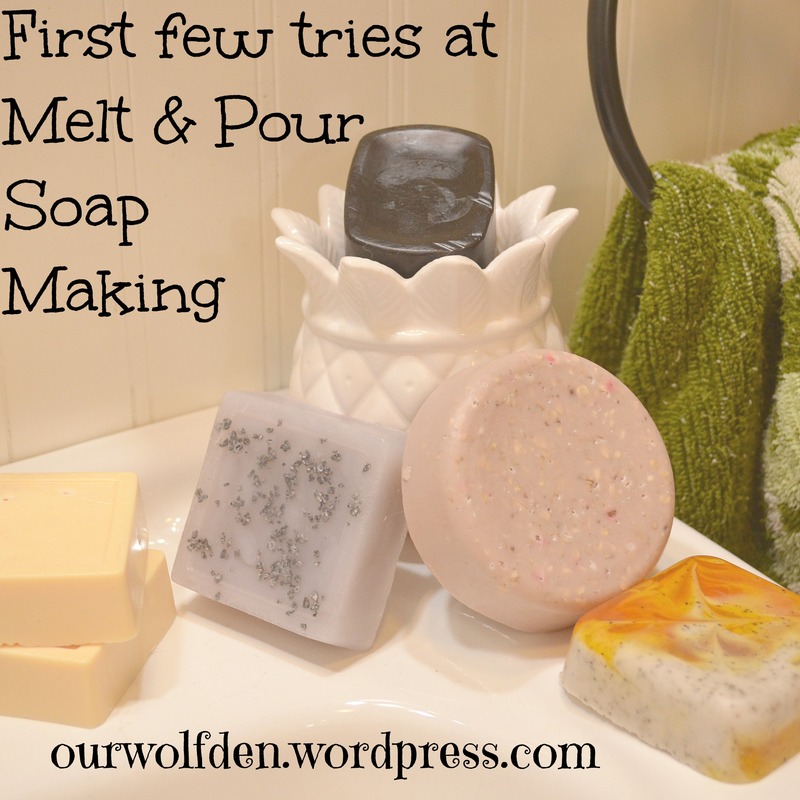 Melt and pour soap sounds like fun, and something I would love to do, too! =D I am a total bar soap proponent and would only use bar soap or soap nuggets (like from Lush) if my husband wasn’t such a fan of blue liquid soaps. Haha! Your new hobby/passion is terrific! I used to make soap years ago with my grandmother using lye but this sounds so much simpler that I might have to try it. Please link-up this terrific post at our rules free Blog Strut Link Party/blog hop, Thursdays at 5:00 PM PST. Our Blog Strut isn’t your average blog hop, it offers many ways to promote and give exposure to your blog and posts. We pin all links, featured posts, as well as offer free co-host spots and button/logo redesign, plus free social network link ups. Join us and show what you’ve got! !